My name is Richard Zempel and I started the Benders with my pal from Jr. High, Tom Wilson. I play tenor and bari sax and he is still one of the best blues singers I have ever heard. 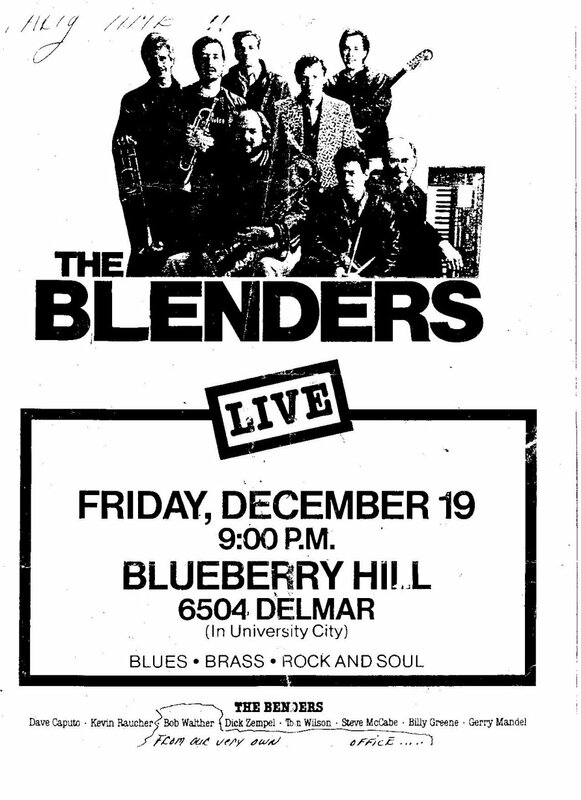 The Benders played all the best clubs in the region for almost 20 years, from 1982-2001. We held many attendance records and were a popular choice as an opening act for touring national acts. We were one of the few bands in our time to have a small horn section, making us one of the larger bands playing regular bar gigs. 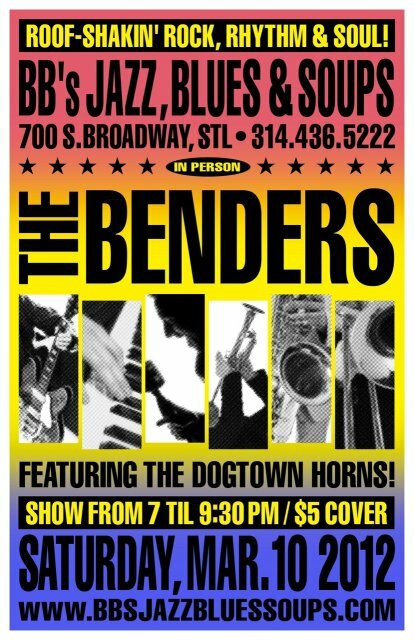 After Oliver Sain asked our 3 man horn section to join his first St. Louis R&B All Stars Reunion (with Fontella Bass, Bobby McClure, Stacy Johnson and The Ikettes at Mississippi Nights in the late eighties) and he called us the "Benders Horn Section" - we decided we should have a cooler name if we're going to appear with other bands. Our trumpet player, Kevin Rauscher, came up with "The Dogtown Horns," hoping that someday we could have the honor to join many cool acts, kind of like Tower of Power. We were able to get gigs for The Benders as opening act for groups like Asleep at the Wheel several times, Buddy Guy, and Mamas Pride. Mamas Pride asked The Dogtown Horns to join them and we became part of Mamas Pride from 1990 - 1992 when the band broke up. We were in Mamas Pride when it was chosen as the opening act for Ringo Starr and His All Star Band when they performed at Riverport. After the show, Ringo's management said that if we could play the next show in Kansas City that Ringo would fire the opening act in KC and have us instead and we did it, playing two nights later at Sandstone, another huge outdoor amphitheatre. I was told we played for 52,000 people that weekend. We befriended Tony Bongiovi, multiple Grammy award winning recording engineer (Jimi Hendrix, Talking Heads, Aerosmith, Ozzie Osborn, Goo Goo Dolls) and owner of The Power Station recording studio in NYC where I recorded several groups for Budweiser. He offered to record The Benders while visiting St. Louis and we booked a couple nights at the old Premier Studios in Mid-Town, where I had helped record Tommy Bankhead and the Blues Eldorados a few years prior. We recorded "Piece of Me" covering the Johnny Copeland song. It got airplay locally on WMRY and KSHE.